Get the New Jersey Turnpike Authority Mobile Updates Here, use your Mobile Phone on the way down to the shore to get you updates for the Garden State Parkway and the New Jersey Turnpike Authority. 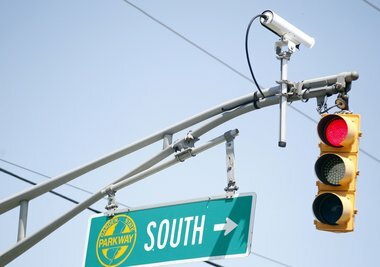 After decades of controversy, the New Jersey Turnpike Authority is preparing to remove the infamous lights, making the Parkway a true limited-access, free-flowing highway. The environmental impact study has just been approved, and the bidding process is expected to begin in the fall, setting the stage for a two-year construction project starting next year. Three overpasses will be built as part of the $125 million project. Lt. Governor Kim Guadagno Participates in Groundbreaking to Mark the End of Traffic Signals on the Garden State Parkway Long-Awaited Removal Promises a Safer Trip for Residents and Visitors. Read the full press release here. The construction work is expected to take about two years. Officials say during that time the Garden State Parkway will maintain full capacity. One of the first phases of the project involve building a diversionary road that will carry traffic while the overpasses are being constructed. The total price tag is $110 million. This entry was posted in Cape May Resort Blog and tagged 10 and 11, Cape May Garden State Light Removal Project Exit 9 on May 5, 2015 by Ryan Reclaim.